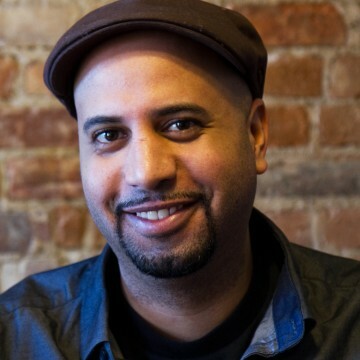 Michael Premo is an artist, journalist, documentary storyteller and organizer. His career has been dedicated to building a more equitable and just future through democratic collaboration and creativity. He has created, produced and presented original works of art and media with numerous companies including Hip-Hop Theater Festival, The Foundry Theater, The Civilians, and the Peabody Award winning StoryCorps. He’s a co-creator and Executive Producer of Sandy Storyline (www.sandystoryline.com), a participatory documentary that collects and shares stories about the impact of Hurricane Sandy on our neighborhoods, our communities and our lives. The project won the inaugural Transmedia Award from the 2013 Tribeca Film Festival. He co-created and collaborates on the storytelling project Housing is a Human Right (www.housingisahumanright.org), a project connecting diverse communities around housing, land, and the dignity of a place to call home. Stories are shared across multiple platforms including radio, internet and interactive installations in unconventional places. His radio documentaries and photography have been distributed internationally in outlets including The Village Voice, The New York Times, and more. As an organizer, campaigner and strategist he has worked with a diverse spectrum of local, national and international organizations across a range of sectors. He is on the Board of Trustees of the Network of Ensemble Theaters.